Tesla is continuing to spearhead the electric car revolution with only its second mass production electric vehicle (EV), the Model X, which it claims is the safest ever SUV. The Californian car company launched its all-electric, four-wheel drive, seven-seat SUV to a crowd of journalists, tech fanatics and Tesla advocates in a press conference / show / new car handover in September, that would have even made Apple’s Tim Cook take a few notes. Fortunately for those car buyers who want to help accelerate the transition to sustainable transport, the hype is real. 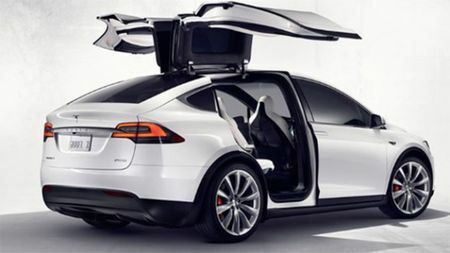 Tesla says the low centre of gravity gives the Model X half the rollover propensity of any other SUV on sale, while the lack of a conventional combustion engine extends the front crumple zone, helping distribute any force of impact over a greater distance. The level of active safety equipment is impressive, too, with automatic emergency braking and side collision avoidance as standard, which uses ultrasonic sensors to steer you away from a side collision. 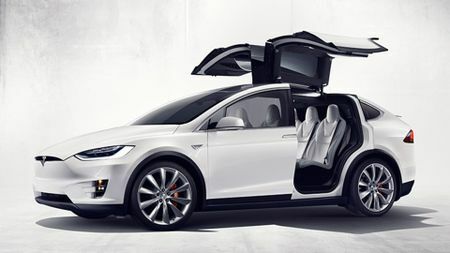 In another series of firsts, the Model X features a medical-grade high-efficiency particulate arresting filter (HEPA), giving a several hundred fold improvement in the filtration capability against bacteria, allergens and smog to improve life expectancy, while a rear set of double-hinged ‘Falcon Doors’ creates a large aperture to access both second and third tiers of seating. The doors even feature ultrasonic sensors to continually alter the arc opening, in case the doors are impinged by tightly parked cars or low garage ceilings. 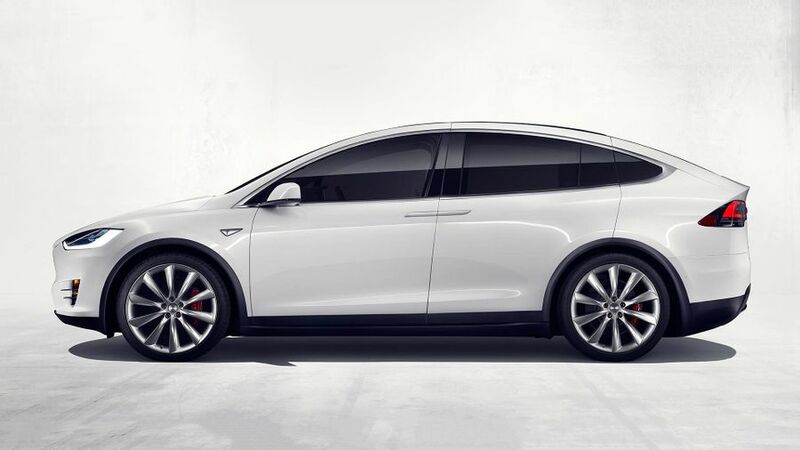 First customer deliveries for the Tesla Model X are already underway in California, but high demand means it’s unlikely that the UK will see any versions delivered before winter 2016. The other problem is that with an estimated price of £90,000 for the launch edition Model X, you may need to be a tech mogul to afford one. Interested in buying a Tesla ?